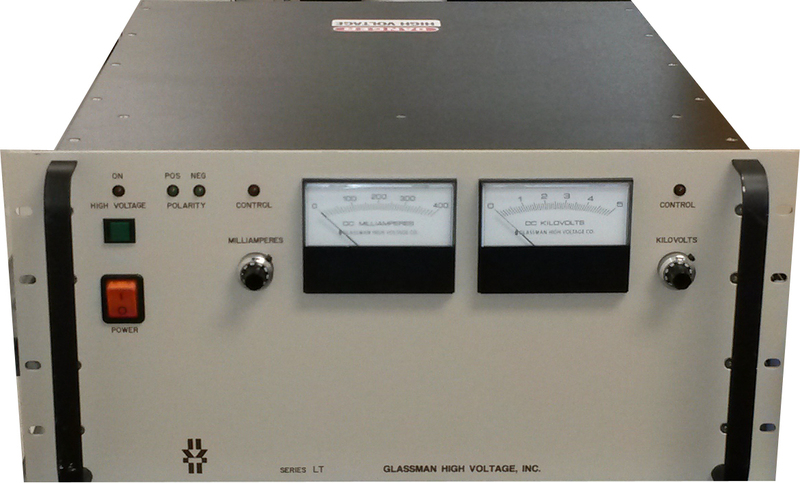 Glassman PS/LT005R400-22 High Voltage DC Power Supply. 0-5 kV, 400 mA. Reversible Polarity. 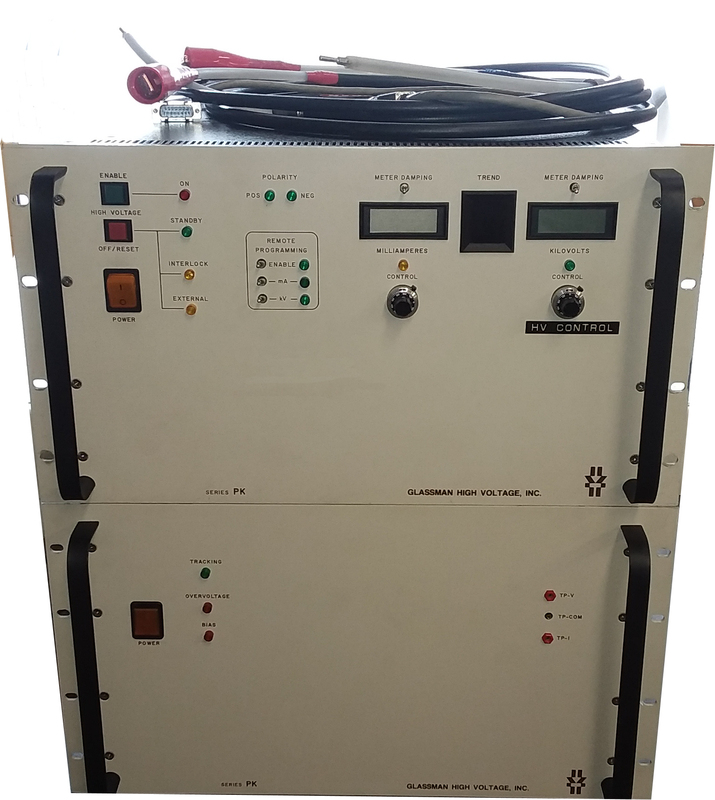 2kVA. Requires 198-264 VAC Single Phase input power.